Annoyingly, I am having to rewrite this section, as it 'disappeared'. Hopefully it will all come out better as a result. As we know the world is bursting with what we might regard as tragic events, either natural or man-made. As far as the media is concerned their value as 'news events' seems to be determined by a range of factors, dependent on location, drama, personality, scandal, number of fatalities or injuries, and last but not least whether it fits any prevailing narrative. Mass shootings have almost become common-place in American society. This latest one at the Marjory Stoneman Douglas High School, in Parklands, Florida is reckoned to be the 13th of its kind and the most serious since Sandy Hook on December 14th 2012 - namely five years two months prior. (Dissembling alarm bells are rung when that event is referenced!) However closer examination reveals this number includes relatively minor events with no injury being caused. I shall not dwell on the mass of reservations surrounding the Sandy Hook event that gave rise to great Internet controversy. To a certain extent contaminates the Florida event and makes us wary of it. Wikipedia (https://en.wikipedia.org/wiki/School_shootings_in_the_United_States) lists 24 incidents of school shootings causing deaths since 1764 and 12 from the Columbine mass shooting in 1999! On the face of it in a gun-obsessed culture, where gun deaths are frequent (some 13,286 people were killed in the US by firearms in 2015!) this may not seem great. It also is in stark contrast to the BBC claim (http://www.bbc.co.uk/news/world-us-canada-34996604) that there were 64 school shootings in 2015 alone. Wikipedia lists only one - Umpqua Community College where 10 died - for 2015. This is a huge difference that requires explanation and raises the suspicion that the media are in fact sensationalising and exaggerating the issue to make it more dramatic and salacious, whilst pretending to moral concern. Seldom do we consider the extent to which the media, film industry and more recently computer game technology and Internet actually glamorise and encourage such violence. Is the media guilty of exaggerating school shootings? But beyond this it fuels the suspicion that the media may in fact be complicit in influencing public opinion in support of a particular political and social agenda - in this case predominantly in favour of greater gun control, although there may be more general subsidiary ones, such as encouraging fear and division in society. Currently in America, the effort to discredit and undermine President Trump - generally resistant to changes in gun law - cannot be ruled out. Can the official narrative be relied upon? Certainly all these elements are contained in the narrative regarding the alleged 19 year old gunman Nicholas Cruz as we shall see below. The big question that emerges is this supportive of the fact that he carried out this brutal act completely of his own volition, or does it indicate he was either acting or influenced by other agencies with these underlying social and political objectives? Clearly Cruz was detained within the hour and is under arrest. He has been charged with 17 murders and has apparently freely admitted to them. If he pleads guilty it only remains for him to be sentenced which in Florida is likely to be the death penalty. Wikipedia informs us that since 1976, the state has executed 95 convicted murderers, at Florida State Prison and as of February 8, 2018, 348 offenders are awaiting execution. Cruz is likely to join them and in such circumstances few are likely to plead mitigation or shed a tear. His fate appears sealed in an open and shut case? Sometimes numbers in these incidents are more than accidental and even may be indicative of planning which goes beyond the accused individual(s). February 14th was chosen in this case which has its own resonance that is discussed in greater detail below. In addition I could not help noticing the coincidence that seventeen (17) individuals were killed and the same number were (17) were admitted to hospital, two of whom died there from wounds received. Seventeen is an interesting number. It is a prime number (only divisible by itself or 1) the seventh. I have noticed that prime numbers appear with great frequency in high profile terrorist events. Are the instigators of them mathematicians or do they regard them with special affection because of their association with other things? The next prime is nineteen, with which it forms a twin prime. (Note: Cruz is said to be 19) Seventeen is the only prime number which is the sum of four consecutive primes (2,3,5,7). It was called "antiphraxis" ('the usually ironic or humorous use of words in senses opposite to the generally accepted meanings') by the Greeks because it is located between the numbers sixteen (square number) and eighteen (double square). the Italians refuse to use it because Roman number is written XVII, considered as the anagram and the numerical value of the Latin expression VIXI that means "I lived" therefore by extension "I am dead"! Now here's a little interesting aside connected to 17. We have noted how music and particularly popular music has been prominent in terror incidents, not least Paris and Manchester. This appears to have very positive consequences for the artists and their management. "17" is a song by Marc Kinchen (born 3 August 1972), known by his stage name MK, an American DJ, record producer and re-mixer with many hits to his credit. It also features uncredited vocals by Carla Monroe. It was released as a single on September 1, 2017 and got to number 7 in the UK charts. As of January 24, 2018, the video had over 926,000 'hits'. It can be viewed on You Tube here https://www.youtube.com/watch?v=NoBAfjvhj7o where it currently has had 15,903,686 views apparently. That's a BIG increase in under a month. I wonder if there is a connection? He has been producing house music since the 90's but American producer Marc Kinchen has only become a household name in the last year or so. His resurfacing to the chart came after his remix of Storm Queen's 'Look Right Through' which topped the charts earlier this year and dominated radio and club playlists. Malaysia Airlines Flight 17 (MH17/MAS17) was a scheduled passenger flight from Amsterdam to Kuala Lumpur that was shot down on 17 July 2014 while flying over eastern Ukraine, killing all 283 passengers and 15 crew on board. The circumstances remain unclear and investigation secret. It was blamed on the Russians but it seems much more likely to have been a False Flag operation by a coalition of covert western forces, partly possibly to draw attention away from an Israeli attack on Gaza, 'Operation Protective Edge' launched by Israel nine (9) days before. Now moving on let us examine matters of place, timing and personality. Florida despite being consistently Republican in politics since the 1940's In the 2008 and 2012 presidential elections, Barak Obama carried the state as a northern Democrat, attracting high voter turnout especially among the young, Independents, and minority voters, of whom Hispanics comprise an increasingly large proportion. We must assume the shooter Cruz regards himself as being a member of this group though he has also claimed his birth mother was Jewish. Florida played a pivotal role in the election of George W Bush: 25 of the 271 electoral college votes were placed by it. Without them he would have lost out to Democratic candidate Al Gore and if 827,000 (1:10) disenfranchised felons had voted at the same rate as other Floridians, Gore would also have won. Some considered this amounted to rigging. Florida was ranked the fifth-most dangerous state in 2009. In 1987 Florida, one of seven states to do so, prohibited the open carrying of handguns. This certainly has a bearing on how it was possible for Cruz to hire a taxi whilst carrying a large automatic weapon and why the taxi driver made no effort to report it to his superiors or police? Perhaps we should also note the United States military has a huge presence in the State with major social and economic consequences.There are 24 military bases in the state, housing three Unified Combatant Commands involving some 109,390 U.S. military personnel contributing, directly and indirectly, $52 billion a year to the state's economy. Cruz along with others in the school were members of the ..... and may have been destined as a high achiever for a career in the military. It comes as something of a surprise that warning signs of a murderous personalitywere not picked up at that point and not factored into any assessment of him when he was specifically referred to the FBI for tweets that indicated violent intent. President Trump owns the International Golf Club in Palm Beach. On Monday 19th he was criticised for playing golf as victims of the Florida school shooting were laid to rest at funerals just 45 miles away. His son in law, Jared Corey Kushner, currently visiting India on business, was targeted by CNN's Anderson Cooper, who himself has been linked to the CIA, for 'liking' a Facebook tweet that suggested James Hogg was a 'Crisis Actor'. We may conclude that the shooting has done the Trumps no favours inside or outside Government, whilst charging the clamour for tighter control of guns and Internet communication.The question is was that the covert intention all along? Parkland is a City on the south eastern coast of Florida with an estimated population in 2016 of 31,507. It has a total area of 12.8 square miles (33.2 km2), of which 12.3 square miles (31.9 km2) is land and 0.50 square miles (1.3 km2) (3.97%) is water. (Source: ) In it is located the Marjory Stoneman Douglas High School where the alleged shooting took place. The National Council for Home Safety and Security placed Parkland at the top of its 2017 list of Florida’s safest cities, and ranked it third on the list in 2018. Apparently these reports appeared to be taken offline on Wednesday, but CNN shared a cached version of the page. About 17% of the population do not regard English as their first language, with Spanish being the second most commonly spoken. Marjory Stoneman Douglas High School named after a notable Everglades environmentalist, was established in 1990 and appears to cater for students in 9th to 11th grade (14 - 16 yrs?) It is the only public high school in Parkland and is ranked 38th in Florida. As of 2015 and 2016, the total student enrolment was 3,158. The ethnic makeup of the school was 59% white, 12% black, 20% Hispanic, 7% Asian and 2% multiracial. 23% of the students were eligible for free or reduced lunch. It has an Army Junior Reserve Officers' Training Corps (AJROTC) unit of which Cruz was a successful member. Cruz was expelled in 2017 (17 again!) but it is not clear when he had first attended or what his academic or sporting achievements were. As is usual with events of this sort there are strange and intriguing elements to the reported times and timings. Perhaps the first thing we should note is that the attack took place on Valentine's Day - 14th February. This obviously adds a certain poignancy to a random mass shooting of young people. We might also suspect a certain theatricality suggestive of a planned event for maximum emotional impact? Of course if Cruz had been crossed in love, as was suggested by the story he was banned because of a fight over a girl, then he may have chosen Valentine's Day for the same reason. It is certainly possible. But if this were the case, why no additional indication that was his motivation? We might have expected a love-struck attacker to have targeted either his 'ex' or his competitor, or have included some other related gesture. The fact that he didn't, rather undermines this explanation. The other possibility was revenge for being expelled, but if so the choice of Valentine's day rather loses its significance. I suppose a combination of the two, linked to a deep psychotic need might still exist. That, certainly is what the authorities want us to believe. This is not the first Valentine's Day Massacre in American history. In Chicago on February 14th 1929, during the era of 'Prohibition', seven men of the North Side Gang were murdered by the South Side Gang, headed by Al Capone. It became known as The Saint Valentine's Day Massacre. A resonance with this event is unlikely to have occurred to a nineteen year old but this cannot be said of others who may have organised the attack in Florida. Nor would the significance been lost on Donald Trump. Obama's top aid Rahm Emanuel became Mayor there in 2011. His brother Ariel Zev Emanuel is according to WIKI "co-CEO of William Morris Endeavor (WME), an entertainment and media agency. He was a founding partner of the Endeavor Talent Agency and was instrumental in shaping its June 2009 merger with the William Morris Agency. He began his entertainment industry career as an agent trainee at Creative Artists Agency (CAA)." Interestingly it was Ari who booked the 'Eagles of Death Metal' to play at the Bataclan in Paris when that alleged massacre took place. Their father was Jerusalem -born paediatrician Dr. Benjamin M. Emanuel, who was an active member of the hard line Zionist terrorist group Irgun. Rather weirdly Marjory Stoneman Douglas High School proudly advertises "Eagle Pride". Are these links coincidental or suggestive of something more sinister? Note "at the scene was actually 3 miles distant we are informed! No evidence of blood/gore on clothes or skin, nor does he appear sweating from long run? In fact he appears disorganised and mentally phased. Police state he "was arrested without incident." In other words he did not attempt to escape or resist arrest. Nor apparently did he have any offensive weapons - including firearms - on him at the time. Firearm residue on hands is usually protected and tested for, especially in a case of this sort but there is no evidence this basic step was taken. 2:27 pm Drops weapon and back pack and leaves with other students. Note by this account he is already departing before Hogg reports hearing the first shot - clearly ridiculous and would have the effect of absolving Cruz of the crime! 2:50 pm he's at a "near-by" Wall Mart . (Can we assume it is the one below 0.8 mile distant?) where he buys a drink at Subway Restaurant inside. The exact location of the Walmart (there are three possibilities) so I have chose the nearest. Depending on the exact leaving and arriving times he would not have had more than 15 minutes requiring a brisk walk or jog to do it. This happens to be the standard set for super fit Marines added to which nothing in the arrest photographs suggest he exerted himself. If he didn't run the only other explanation would be a lift in a vehicle presumably? This important facet has not been explained. 3:01 sits down in nearby MacDonald's before walking out. The locating map above suggests the Macdonalds he visited was about 3 miles distant from the school. If so 'B' fits located at 630 N University Dr, Coral Springs, FL 33071 or was it this one at 8375 N Pine Island Rd, Tamarac, FL 33321. 3:41 Police arrest him 'without incident' "residential area two miles from the school at 3:41pm" (Images of him on the ground; taken out of a police vehicle 9407; and being placed in an ambulance on a gurney) If "two miles" is accurate he must have walked back towards the school about a mile. Now this reported sequence of events and when they occurred presents us with some very real problems and difficulties to make them fit together and explain the apparent contradictions. He says he walks outside when he hears the alarm yet people are coming in the opposite direction. So are the others coming out or going in? How could the drill be over if the alarm was still sounding? This account simply doesn't make sense. The shooter must at this stage have been inside which would indicate he was on his way back inside because the leaves tried to persuade him not to, nor in any fire drill would anyone return until it was clearly OVER and the muster had been taken. And if he was outside, how could he in the next video describe events as they happened inside? How can any of this be squared with CNN's account that "(CNN)David Hogg found himself living a nightmare on Wednesday, hiding in a closet with classmates as a crazed gunman roamed the campus"? In this interview we not only witness a completely contradictory account but also what appears to be a stumbling attempt to provide what he is prompted to say.
" The teacher closed the door. Within seconds, the fire alarm went off. "We instinctively walked outside," says David. "We thought it was a drill." As David's class walked towards the evacuation zone, they saw a "tsunami" of people running towards them. They turned and followed the crowd down the corridor. "A very heroic janitor stopped us," says David. "He said, 'Don't go that way - he [the shooter] is over there'." After they turned round, Ashley Kurth - the teacher in charge of the culinary programme, known in school as Chef Kurth - funnelled the crowd into her own classroom. "Within 30 seconds she easily had 30 or 40 people in there," says David. The lights were switched off." AND this alleged video of 'trapped' students four (4) hours before the event! What further evidence is required of fraud and of the unreliability of this so-called 'witness'. The main media spokesperson role is shared by this young female Emma Gonzalez who appears to be the leader of the school's lesbian community. Isn't this all getting a little too predictable? Just these examples should be enough to ruin the credibility of the official story and in turn raise profound questions as to who was actually behind the event and what it was for? Now take a look at these messages that purport to be between parents and children still at the school under 'lockdown'. Parent's conversation with -14-year-old son who is currently in lockdown. Incredibly this suggests that students were still in the school two hours after the gunman had allegedly left the building with other students and a good hour and a half after the police had the attacker attacker in custody. The shooting is reported to only start at 2.30 pm, when it presumably continues for some time. A witness confirms that shooting could still be heard as she walked out with the unarmed Cruz. If he departed at 2.30 pm he only has only half an hour to visit the Walmart Subway and the MacDonald's which appears to be some three miles distant from the school, although Police haven't made clear the precise locations and there are a number of these outlets that might have been chosen. When arrested he appears dazed but not as if he had exerted himself. 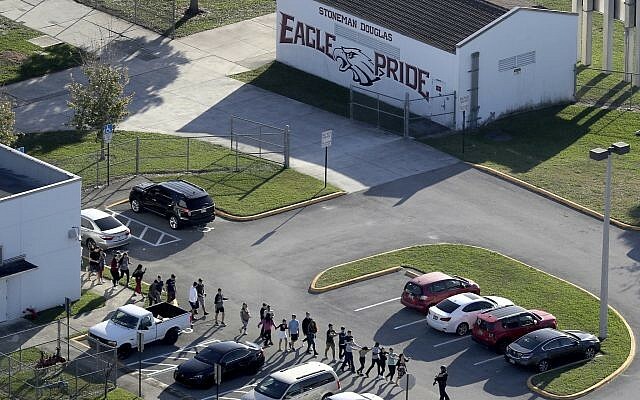 The evidence that the school was still on lock down two hours later (at 4.30 pm) apart from being irrational, would mean the many images of students leaving the scene with their hands up were taken then when the danger was clearly over unless the shooter was someone other than Cruz. It also conflicts with the story he left with many others at 2.30! It is beyond controversy that there must be something very wrong with the mental state of someone who not only harbours homicidal tendencies but also carries them out. Cruz, if the allegation is correct that he shot dead 17 in cold blood and injured many more, would obvious qualify for that assessment. Clearly this was not a spur of the moment response to danger or threat, or carried out for monetary gain but calmly and calculated violence. Even the alleged romantic and school issues were historic. If they were the cause he must have brooded over them for some time. His alleged response was non specific and unfocused and not as one might suspect directed at those who had caused him the mental trauma, unless it flowed from a pent up hatred of everyone connected with the school. Although he was apparently adopted as a small child, there is no suggestion of ill treatment by his adoptive parents or others, although this is always a possibility. The fact that his adoptive father died when he was young and his mother as recently as last September could have been factors that increased his pain and resentment at his life. There are plenty of statements that appear to suggest he was odd and a misfit in the school. However in these high profile manipulated events - as this one clearly is for all the reasons given above - we have to be very wary of character assassination being manufactured to support a certain narrative. What I cannot understand is why a school would take the pretty extreme course of expulsion just for a fight over a girl. Even in the best schools young adults fight over such things. Were there other more serious issues that have not been revealed? Then again the school appears to be a safe and caring one. What attempts were made to counsel and advise Cruz or to get to the bottom of his emotional problems? Was he expelled before his mother died or after - we are not told - but was the school aware of the home situation and did it try to help? Perhaps even more serious is the allegation that his violent tendencies and obsession with guns and violence were well known by his class mates and also presumably the teachers, yet it would seem no response was made to these warning signs or to involve the Social or Policing authorities. Even worse was the utter failure of the Police and FBI to take seriously the threats specifically brought to their attention, particularly in the light of heightened awareness of mass terrorist events (so called) This is quite incredible incompetence. It might also be intentional. Time and again we see in these high profile cases, the individuals were known to the authorities or were working covertly for them, or were interviewed before or after the event, or were allowed to escape, or were shot dead in suspicious circumstances. This is not conspiracy thinking but proven FACT. 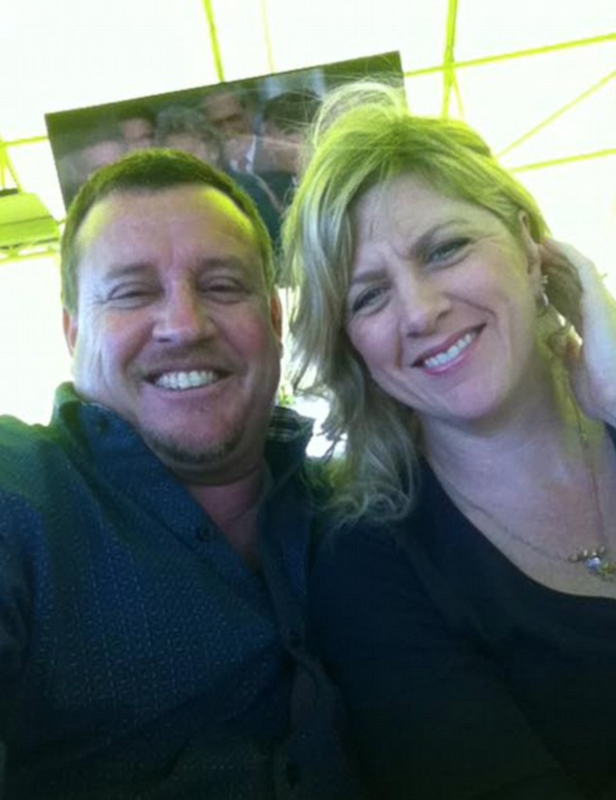 (1) The couple who took Nikolas Cruz in after his mother died were James and Kimberly SNEAD. They allowed him to bring his high powered weapons with him for which they had to buy a new gun cabinet. It would appear although in the army he didn't already have one. Mr Snead thought he had the only key but obviously he didn't as Cruz must have accessed it on Feb. 14th., before he set off for the school. Nor did they notice the rifle was missing until they heard of the outrage on the news. Cruz at some point, either before or after the shooting, had texted his friend, the son of the Sneads, to say he was going to the cinema. Mr and Mrs Snead said Cruz was compliant and no trouble for the three months he was with them and that his actions had taken them completely by surprise. James Snead, 48, happens to be a decorated Army veteran and military intelligence analyst who served stints in the Middle East. Kimberly Snead, 49, is a neonatal intensive care nurse who cares for premature and ill babies. "Later in the afternoon, some time after the shooting, at around 2:30 p.m., James' son called sounding panic-stricken. He was safe but heard shots fired on campus and would later help his classmates flee." Note in this account the shooting was over by about 2.30. This cannot be made to accord with the students' accounts below. (2) The initial account in the ABC interview of student witnesses the next day (15.2.2018) https://www.youtube.com/watch?v=x04zdZwfgjo simply cannot be made to fit the police narrative. Female witness says they first knew something was wrong when they heard the fire alarm which was the second of the day and they never had more than one a day. She confirms that "they had gone outside because of the alarm and then went back into the building when they heard gunshots". This is neither credible or compatible with the police account. Not credible because the fire alarm would not have been turned off and even if it had been no Fire Marshall would have allowed re-entry if there was sound of gun fire continuing. In addition Fire Drills always involve musters in a designated location which involves checking names against a list. This takes time. Nor can it be made compatible with the Police account which states that Cruz activated the fire alarm when he entered the building at 2.21. If these witnesses left the building when they heard it they would have been outside by 2.30 at the latest and could be expected to be there for many more minutes, by which time the Police say Cruz had already left the building. If as they say they re entered the building despite hearing shots - frankly stupid and no sensible member of staff would have allowed it - then someone other than Cruz must have been doing the shooting. "Jonathan Blank" describes being in a classroom on the first floor and allegedly shows his feet in a video whilst the gunman shoots into the room. He says four class mates got shot there and two he believed had passed away. His description is not supported by the video. He says they stay there until armed Police arrive and they are told to run to the street - not escorted out you notice. The next witness describes seeing the gunman on the Second Floor. So now (with another parent's account) we have the gunman on all three floors shooting and this after they have returned from the drill outside! If true, this positively rules out Cruz as the gunman as he had left the building many minutes before! So level headed people will want to ask the question did Cruz do what he was alleged to have done? If he did, was he doing it under the mental control or at the insistence of others? Alternatively, were others involved or even responsible for the shooting whilst Cruz was scape goat chosen and cultivated to take the blame - in common parlance the "Patsy"? There are certainly enough inconsistencies and contradictions to enable us to quite reasonably pose the following questions. Why if he excelled in the Army Junior Reserve Officers' Training Corps (AJROTC) did he fail at school? When did he join the above and when did he leave it? Given the widely held knowledge in the student community (apparently) that he had mental problems, had an obsession with weapons and expressed both general and specific threats of violence, was he not counselled or referred to the appropriate social and legal authorities? Why, particularly in the current heightened state of awareness, did the FBI fail so abysmally to follow up in any practical or thorough way the specific threat complaint made to them or even refer it on to the local cops? Given that in Florida it is illegal to carry a gun in public, let alone a large semi automatic rifle, was it possible for Cruz to make the journey to the school premises unreported and un-intercepted by police? In particular why did the Uber taxi driver allow him to get in his car carrying rifle and back pack that he might assume contained ammunition? There is no suggestion he was coerced. Why did he deliver such a person to a school premises whilst making no attempt to warn any party - school, management or police? Why have police played down the Uber Driver's crucial role as if he were completely uninvolved and free of blame? It is stated that at about 2.20 pm Cruz was seen "striding towards the school" presumably obviously carry a large weapon and back pack, yet no one seems to have reacted or attempted to stop him. Why? He gained access through the East exterior door. Why for a security conscious school was it not locked? There are reports a drill was carried out earlier the same day so why was this obvious weakness not identified and corrected by the afternoon? How was Hogg chosen to speak on behalf of students by CNN? Why are his accounts so evidently confused and self contradictory particularly whether he was outside or inside when he heard the alarm and shooting? How is it possible his video describing them hiding in a classroom from the shooter is time stamped four hours before the event? If Cruz went up the staircase and shot at least one female victim "nine times" on the third how is it possible he has dropped his weapon and back pack and is said to be leaving the building unarmed with others only 8 minutes after entering (2.19 - 2.27)? Where were the rifle and back pack located? How is it possible Hogg could report hearing shooting "from about 2.30" when Cruz is already reported leaving with others unarmed at "2.27"? Why if the students were leaving at 2.27 were they not mustered outside as standard practice in drills outside? After all it is suggested they were evacuating the building in response to the fire alarm! Why was Cruz not identified and detained at that stage, at least for not being an enrolled student if for nothing else? Why when challenged by another student on the way out did he not admit to the shooting if he had, rather than reportedly replying "Hmmmm" or some such? Why are there no reports of him running from the scene of how he travelled about three miles within the half hour or so? He doesn't really sound much like a 'typical' mass killer does he visiting a Walmart Subway and MacDonald's does he? How did the police know who to look for so quickly? How did they know where to find him in the absence at that time of any public announcement? Why didn't Cruz attempt to flee, hide or resist arrest? Why after being in a police vehicle was he taken out and then transferred to a stretcher and taken to hospital, allegedly for a breathing difficulty not suggested in any of the images available or stated health record? Cruz just looks dazed and vacant if anything. Is this indicative of an induced mental state from drugs or otherwise? Why did he immediately admit guilt for the massacre before even his mental state could be assessed? Although the media lists details of the 17 tragic victims, virtually nothing is provided regarding where or how they died other than gunshot wounds or what post mortem examination they underwent. It appears all had had funerals and burials by the following Monday when Trump was criticised for playing golf at the same time. Unconvincing private video showing left-handed Nikolas Cruz shooting practice in his back yard. Who took the video? Tim Veater Victims must be photogenic it seems! On a somewhat more serious note, am I right in thinking you are a medically qualified doctor? The reason I pose this rather personal question (I hope you will not be offended) is that if I am correct you must be somewhat aware of standard post-death procedures, particularly following tragedy or homicide. There are many elements to the Florida School shooting that simply cannot be made to fit and reconcile the various accounts and yet the media appear totally oblivious of these and fail to pursue them. It is a brave and perhaps foolish man who would challenge the fact of 17 young lives lost, when in a small intimate community they must be well known and grieved over, so other than a sophisticated deception, we must accept these tragic deaths occurred. Nevertheless I cannot help noting the speed with which the crime scene containing muliple dead and injured was cleared and apparently re-opened, the necessary forensic post-mortems carried out, the funeral arrangements organised, all to allow at least two victims to be buried (Alyssa Alhadeff and Meadow Pollack according to the London Times) only two days after the event on the 16th February, 2018! This seems incredibly speedy but is it exceptional - even questionable? Other funerals took place the following Monday. I am sure you will have experience in this area and have an opinion and I would be most interested to hear it. Tim Veater Can I add a few further points/questions that trouble me, for your respected observations? It is claimed that Cruz had only 9 minutes in the building. In this time he entered the building carrying his gun and back pack unchallenged by anyone although he had been banned; set off the fire alarm; moved to the toilets where he unpacked his weapon and allegedly told others to leave as it "was going to get messy" yet again no one challenged him; he then started shooting into classrooms on the ground, first and second floors, apparently leaving weapon and back pack there. Then nonchallantly walked back down the stairs and out of the building chatting to an aquaintance who reports nothing untoward about him. (Incidentally this version clashes with the version that he entered and immediately ascended the staircase to the top floor) The Times reports he fired "about 150" bullets and that 120 were left in his back. This of course would require multiple reloading depending on the capacity of the magazine (up to 30) I suppose this might be just possible in the time available, but it clashes directly with the account that the shooting occurred when students RETURNED from the fire; or that shooting was happening as Cruz left with the friend; or the Hogg video claiming they were hiding in a class room date stamped four hours previous; or the fact that young people were still inside on 'lock-down' two hours AFTER the attack and Cruz was already under arrest! Tim Veater So we must assume that the dead and injured were left for about two hours before "troops" released them. Of the 17 taken to hospital, two allegedly died there, contributing to the total of 17 that died. This means that 15 died at the scene either inside or out, every one of which could not be moved until all the forensic evidence had been recorded. If carried out thoroughly and systematically this would be a time-consuming process carried out only by specially trained experts. Every one of the hundred and fifty bullets would have to be accounted for, logged and catalogued including trajectories, all of course photographed. Is there any evidence this was done? Tim Veater Then we come to the bodies themselves. Each the result of a despicable criminal act must have required detailed autopsy to determine cause of death and the description of the actual injuries inflicted. Who were the pathologists employed in this task, again very time consuming and following strict guidelines. Yet despite 17 of these, within less than two days, at least two victims were released and buried. In such a notorious case, wouldn't you expect the Coroner would wish to retain bodies until at least he was satisfied all due process had completed? Of course all this amazing speed of process is complimented by the speed with which Cruz is identified as the killer, located, arrested, hospitalised, arraigned and admits to the deed. Conversely, it contrasts with all outrageous failings of the FBI, Police and school authorities that allowed the massacre to take place.